"Fast service with reasonable prices. They are efficient, honest and very friendly. Highly recommended." Broadway Import Auto Service has been serving the Hollywood District and greater Portland-area for almost 30 years. 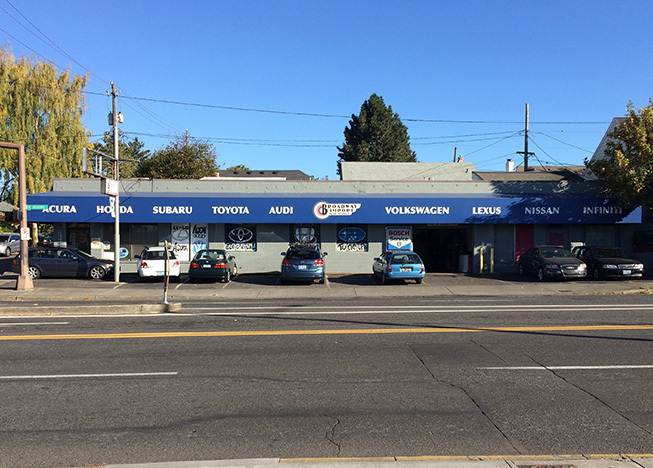 We offer professional automotive service specializing in Honda, Toyota, Lexus, Acura, Volvo, Nissan, Volkswagen, and Audi. We take pride in offering our customers quality service at a fair price. Our technicians are ASE certified and we use the latest tools and equipment when servicing your vehicle. Our mission is to provide the best service possible, knowing the greatest compliment is our customer's happiness and referrals.